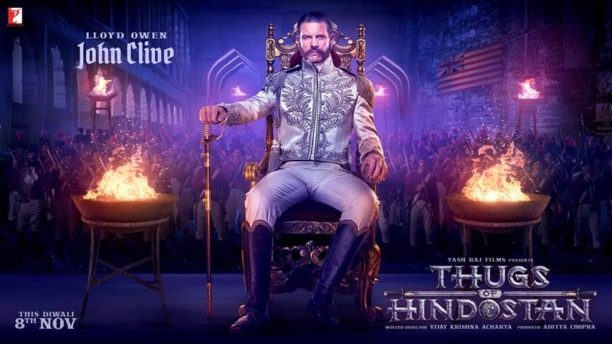 First look of the villain of Thugs of Hindostan – Lord John Clive! Yash Raj Films Thugs of Hindostan promises to give audiences an incredible visual spectacle this Diwali. With a larger than life, never seen before action extravaganza, it is the most awaited film releasing this Diwali. Now we have learned that there is an epic battle against an all-powerful enemy. Through a cool concept the primary characters of the film are being introduced through motion posters. today YRF unveiled the cruel, evil, highly manipulative and merciless villain of Thugs of Hindostan – Lord John Clive, the commander of the East India Company. Lord John Clive, played by British actor Lloyd Owen is the enemy one should never make. He is the face of the British Raj in India and a symbol of cold evil and deadly ambition.